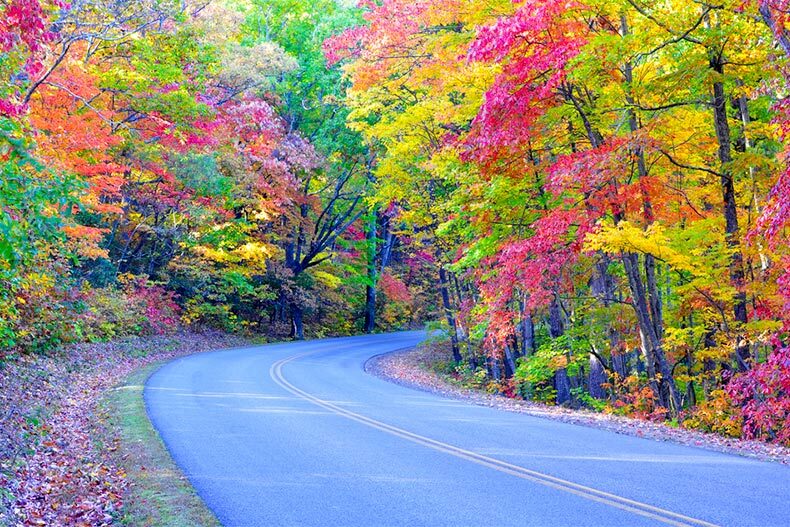 The Blue Ridge Parkways is one of the most scenic drives in the country. Located in the beautiful Blue Ridge Mountains, Asheville, North Carolina is known for its historic charm, a thriving music and arts scene, and an eclectic shopping and dining experiences. Because it’s in a higher elevation, Asheville is cooler than other parts of the state, but still offers four distinct seasons. Whether you’re thinking about moving there or just visiting, here are five things you can do in Asheville. Biltmore Estate, the largest home in America, was the vision of George W. Vanderbilt, A 250-room French Renaissance chateau, it houses the Vanderbilt family’s original collection of furnishing, art, antiques. The estate encompasses more than 8,000 acres of land, including word-famous gardens by Frederick Law Olmsted, the father of American landscape architecture. Biltmore Estates now encompasses Antler Hill Village, which features the award-winning Winery and Antler Hill Farm, The Inn on Biltmore Estate, Village Hotel on Biltmore, an equestrian center, numerous restaurants, and Biltmore For Your Home, the company’s licensed products division. While you’re at Biltmore, visit Biltmore Village, a modern counterpart of the estate featuring local and national retail shops and amazing dining experiences. The Asheville Pinball Museum opened in 2014 and has 35 pinball machines and 25 video games. For the admission price, you get to play as many games as many times as you want. Beside each machine is a sign detailing the history of that game. And they also have a free jukebox stocked with 1980s classics. Play any song you want in the machine and you’ll be able to watch the music video to it as well. Take note that this place tends to get busy, especially on weekends, and they won’t allow any more people inside than they have machines to play. Nicknamed “America’s favorite drive” the Blue Ridge Parkway is a ribbon of road that spans 469 miles through the Southern and and Central Appalachians. The Parkway showcases the region’s vibrant way of life, from the Cherokee and agricultural history to Southern Appalachian crafts and music, it also covers a wide variety of habitats throughout North Carolina and Virginia. During your drive, you’ll encounter Whitewater Falls, the highest waterfall east of the Rockies, New River, the oldest river in North America, Linville Gorge, the deepest gorge east of the Grand Canyon, and some of the oldest mountains in the world. Make sure to stop at the Folk Art Center, where you’ll find traditional and contemporary crafts of the Southern Appalachians. LaZoom offers four different ways to experience Asheville. Take a ride on a big, purple bus and choose which adventure you want to go on: the City Comedy Tour, the Haunted Comedy Tour, the Band & Beer Tour, or the Kids Comedy Tour. Each themed tour offers a fascinating and entertaining history of Asheville with guides that will point out popular destinations, points of interest, and will have lots of fun doing it. Downtown Asheville offers visitors and residents alike plenty to do, from shopping and dining to a vibrant arts scene with galleries and museums. Since Asheville is known for doing things a little differently, take a walking tour of the city’s history by following the Urban Trail. This is a casual two-hour walk downtown that follows a string of 30 sculptural trail stations, each connected to an historical moment or individual that helped make the city what it is today.